Is your Lenovo laptop’s bottom base troubling you or you mishandled your laptop and lead to the damage of it? Then do continue reading this article, to know more about our store, Laptop Repair World where we offer you all type of Laptop & Computer repair services. Coming to the Lenovo laptop’s, they actually come with strong base bottoms, but accidents might occur which disfigure and cause trouble using your laptops. So, we recommend you to visit us for any of your laptop issues without any worries. Generally, it would become tough using your laptop with a damaged body base bottom cover. As it ruins the entire support system of the laptop and makes it quite difficult to handle it even for simple uses. It is important to get it Lenovo Base Cover repaired or replaced before you encounter further problems and damages. While speaking about the prices of the base bottom covers and the cost of replacements, we always offer our products at wholesale prices which are less compared to elsewhere in the market. The cost we charge for replacements are also not too much to afford for. For instance, there isn’t a single Lenovo piece we charged more than Rs.1000 for replacing its base bottom cover, despite of the model. One cannot claim his/her warranty every single time. The period might have been expired or there might arise other troubles that restrain your from using your warranty or guarantee options. If that is your case, then you need not bother about replacing it, as we at our store are available with all kind of parts of Lenovo. We also have a history of repairing all Lenovo models including the old and out-dated ones, so it will save you a lot of time and money to consider on replacing a single part instead of laptop as a whole. In our store, we first advise you to claim your guarantee or warranty and also help you in doing so. 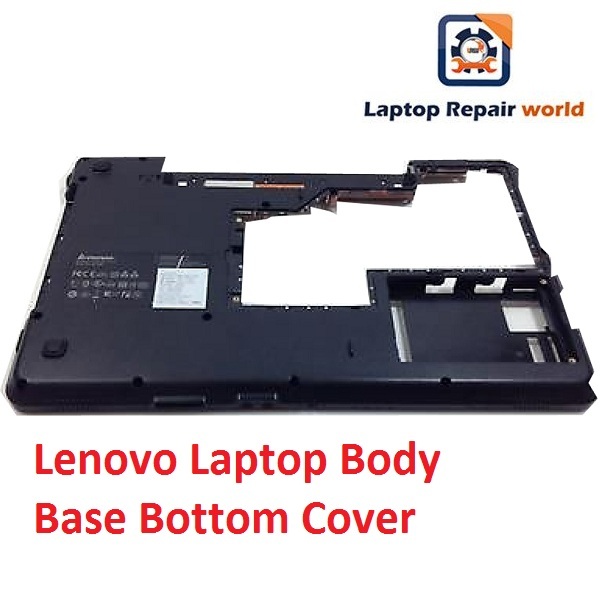 As Lenovo offers good warranty plans, replacing the old one with new base bottom cover is a wise option. Also, we suggest you better by letting you know things in a subtle manner. Our engineers are professionally graduated and are also experienced in handling similar cases with good records. So put your doubts aside before reaching any conclusion as we promise you the best service available in the whole market. Prior to all of these things, we recommend you to bring your laptops to our store instead of deciding the problems on your own and we can also assist you online or through telephone to solve your queries regarding your broken or damaged laptops before reaching us in personal.